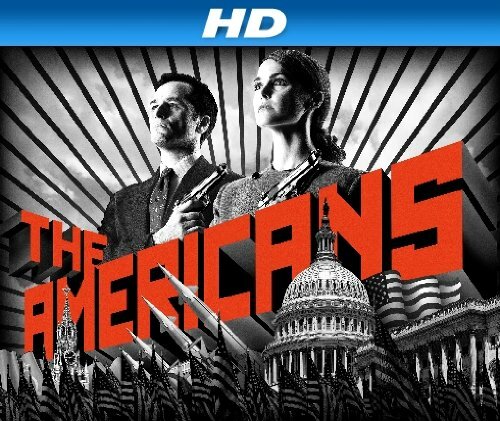 Quick Take: The Americans, "In Control"
Review: The Americans, "In Control"
I must say while I am watching "The Americans" another show always comes to mind - "24" with the infamous character of Jack Bauer. I say this because I am amazed with everything that Philip and Elizabeth get done in the course of a day (the same thought I would always have while watching Jack save the U.S. on "24.") Elizabeth and Philip learn of the assassination attempt after meeting for a midday rendezvous at a hotel. It seems like they are trying to inject some romance and spontaneity into their relationship. Their post-coital bliss is immediately eradicated as they spur into KGB mode. Elizabeth goes to meet with Granny - as Philip coined her last week -- and Philip meets with Sparrow. Granny, who we learn is really called Claudia, informs Elizabeth to prepare for Operation Christopher, a form of guerilla warfare. The smirk that Claudia gives as she returns to her car after meeting with her makes me believe that she has something up her sleeve and she may not be on the up and up. I'm sure we will find out eventually. From the meeting Elizabeth goes into the woods and digs up a crate that has an arsenal of weapons. The crate was rigged with a bomb that would detonate if it were to be opened incorrectly. Meanwhile, Sparrow is actually a journalist who obtains the names of the nurses at the hospital where President Reagan was admitted. Elizabeth and Philip take this information and visit one of the nurses in disguise in a government issued car - thanks to Gregory - to find out the real story regarding the President's condition. I don't know if I would be so forthcoming with information so sensitive regardless of who showed up at my door. While they do give her a business card with a phone number she could contact them with are they so sure of how people think and act that she wouldn't call. They even give her a pin from the VP's office. I guess receiving little gifts makes us more trusting. Later in the day as Elizabeth and Philip stake out Caspar Weinberger's home - the house in which they planted a bug in episode two - in preparation for Operation Christopher Elizabeth kills a security guard when he threatens their mission. They dispose of his body and return home to listen to a recording that Elizabeth wants to turn over to Moscow which would invariably result in World War III. Philip disagrees and tells her that they are going to wait before doing so and she amazingly acquiesces. As much as Elizabeth wants to believe that she is the one who is steadfast in their beliefs and continues to question Philip's commitment to their cause he is just as much devoted as she but he does so in a more calculated manner as opposed to the emotional way Elizabeth does. He fully understands the workings of the United States government and how things run in a domino effect where she sees things as stand-alone. All this in the course of a day and Philip still has time to sit and watch television with his children in the evening. There is also enough time for Elizabeth and Philip to go visit the Deem household to pick Agent Deem's brain on the occurrences of the day. He falls right into Elizabeth's hands with her line of questions and tells her that the FBI is sure that Hinckley didn't have any ties to Russia and that his motive was to impress Hollywood actress Jodi Foster. Philip takes this information and sends a message back to Moscow. When he returns home later that evening she actually tells him that she is happy that they did things his way to which he responds that he is fully aware that if anyone in Moscow where to catch wind that they sat on the recording they would be done. She assures him that she will never tell. After 15 years of marriage they are finally starting to have a true relationship. Also in this episode, Elizabeth and Philip's daughter seems to be getting friendlier with FBI Agent Deem's son. I wonder if that will become an issue as the season progresses. Also, FBI Agent Deem forces Nina, his informant, to meet him. He puts her at risk by calling her at the Russian Embassy but assures her that the phone number is routed to come from a different location. It seems that her superior is questioning her as he has someone follow her after she leaves the office under the pretense that she is going to a local bar where Congressional Aides hang out to see if she can gather information. Their meeting is initially foiled as Agent Deem takes notice of her followers. Nina and Agent Deem finally do meet and she is terrified. Something tells me that she won't be his information for too much longer since she is raising suspicions among people in the Russian Embassy. All in all I definitely think this was the best episode of the season thus far, even though I do question the time frame of the day. The episode didn't lag as some of the earlier ones have and everything that was thrown at us was necessary in moving the plot forward.